Behaaloscha (בְּהַעֲלֹתְךָ‎) — Hebrew for “when you step up,” the 11th word in the parsha) is the 36th weekly Torah portion (פָּרָשָׁה‎, parsha) in the annual Jewish cycle of Torah reading and the third in the Book of Numbers. The parsha tells of the Menorah in the Tabernacle, the consecration of the Levites, the Second Passover, how a cloud and fire led the Israelites, the silver trumpets, how the Israelites set out on their journeys, complaining by the Israelites, and how Miriam and Aaron questioned Moses. The parashah constitutes Numbers 8:1–12:16. Aaron is commanded to raise light in the lamps of the menorah, and the tribe of Levi is initiated into the service in the Sanctuary. A “Second Passover” is instituted in response to the petition “Why should we be deprived?” by a group of Jews who were unable to bring the Passover offering in its appointed time because they were ritually impure. God instructs Moses on the procedures for Israel’s journeys and encampments in the desert, and the people journey in formation from Mount Sinai, where they had been camped for nearly a year. The people are dissatisfied with their “bread from heaven” (the manna), and demand that Moses supply them with meat. Moses appoints 70 elders, to whom he imparts of his spirit, to assist him in the burden of governing the people. Miriam speaks negatively of Moses, and is punished with leprosy; Moses prays for her healing, and the entire community waits seven days for her recovery. This haftorah contains a vision of the golden Temple Menorah, whose daily kindling is discussed in the opening of this week’s Torah reading. God then proceeds to outline the rewards awaiting Joshua if he and his descendants follow God’s ways. The ultimate reward is, “Behold! I will bring My servant, the Shoot, ” an allusion to Moshiach, the Shoot of David. 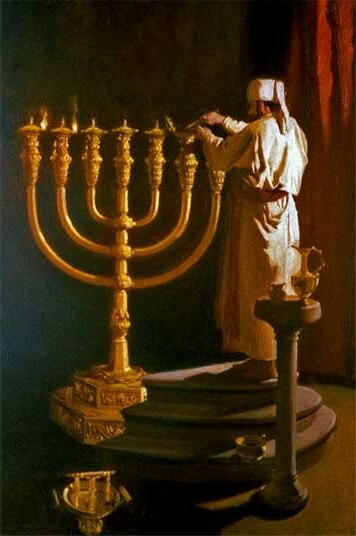 Zechariah then describes a vision of a golden seven-branched Menorah. An angel interprets the meaning of this vision: “This is the word of the Lord to Zerubbabel [descendent of King David, one of the protagonists in the building of the Second Temple], ‘Not by military force and not by physical strength, but by My spirit,’ says the Lord of Hosts.” Meaning that Zerubbabel’s descendent, Moshiach, will have no difficulty in his task, it will be as simple as lighting a menorah. We hope this Torah teaching blesses you in your spiritual understanding and growth! As we are solely supported by your Tzedakah, please consider supporting this ministry for the continued spread of Truth by giving a love offering here. 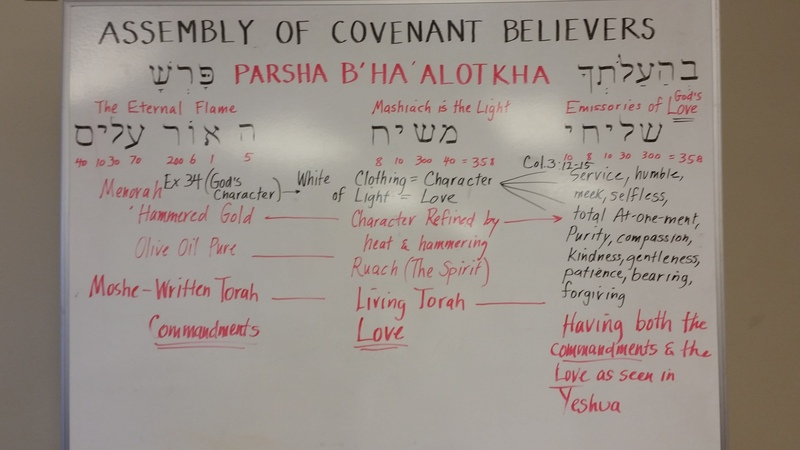 Torah Parsha teaching with video and audio and illustrations by Pastor Isaac. © 2017 Assembly of Called-Out Believers. Use by Permission.